Campi Flegrei, a volcanic caldera near Naples has not erupted for more than 500 years, but recent seismic activity in the region has sparked concerns among scientists. As researchers discover a hot zone continuously feeding the caldera with magma, an eruption could be closer than expected. A group of scientists has recently discovered the location of a magma-filled ‘hot zone’ that is feeding a supervolcano located in southern Italy. The discovery only proved that the volcano is nearing eruption. Campi Flegrei is a volcanic caldera located near Naples, and until December last year had not been considered a threat to the region. In fact, its last seismic activities were recorded in the 1980s after a series of minor earthquakes. Experts found out that a hot zone caused the ground shaking during that period. This hot zone is where magma and other hot materials rose from underneath the earth’s crust, feeding magma to the caldera. The hot zone was discovered about 4 km underneath the city of Pozzuoli, which lies about 22 kilometers from Italy’s third largest city, Naples. According to Dr. Luca De Siena from the University of Aberdeen, magma from the hot zone was not able to penetrate the surface in the 1980s due to a 1-2 km-deep rock formation that blocked its path. However, as a result of the rock blockade, the pressure may have been released along a lateral route. The rock formation may have blocked magma from rising, but it only means pressure is continuously building up beneath Campi Flegrei, making it more dangerous. Furthermore, the stress that has been moving on a lateral route for the last 30 years could reach the densely populated city of Naples. “Whatever produced the activity under Pozzuoli in the 1980s has migrated somewhere else, so the danger doesn’t just lie in the same spot, it could now be much nearer to Naples which is more densely populated,” said Dr. De Siena. Dr. De Siena and the research team are hoping that the big layer of magma would find its way out to the sea, rather than inward to the mainland where it could cause more damage. In addition, Dr. De Siena pointed out that the hot zone they discovered could just be a fluid-filled top of a wider magma chamber, which may possibly be located even deeper. In that case, a huge scale eruption could be imminent, endangering the lives of millions. Camp Flegrei spans an area of about 100 square kilometers, which is bigger than the destructive Mt. Vesuvius. 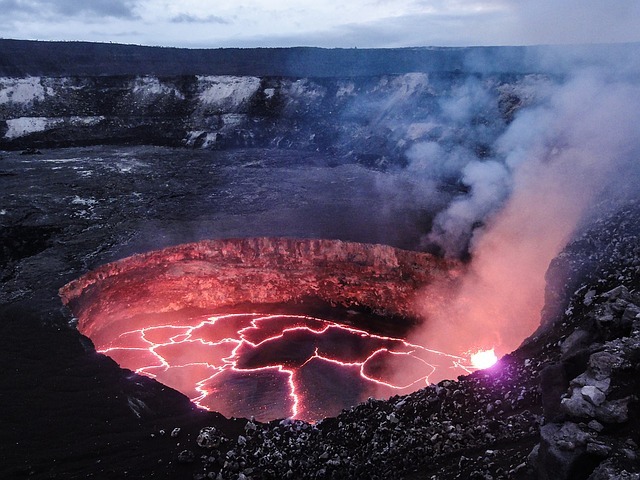 Also known as Burning Fields, it has not erupted since 1538, although experts believed it was not a major eruption. An eruption today could affect more than 360,000 people living atop the caldera, as well the millions more who live in nearby Naples. Aside from Dr. De Siena, other members of the research team came from the INGV Osservatorio Vesuviano, the RISSC lab of the University of Naples, and the University of Texas at Austin. The group of scientists aims to provide a scale that may help predict future volcanic eruptions. Huge numbers of people deliberately living in a known active volcanic region, with a history of destroying towns and villages and killing large numbers of people over the centuries. When it blows and large numbers of these people die, just watch the Atheists and rationalists rise up to blame God for the disaster. Atheists don’t believe in god, you idiot. We will blame geology.